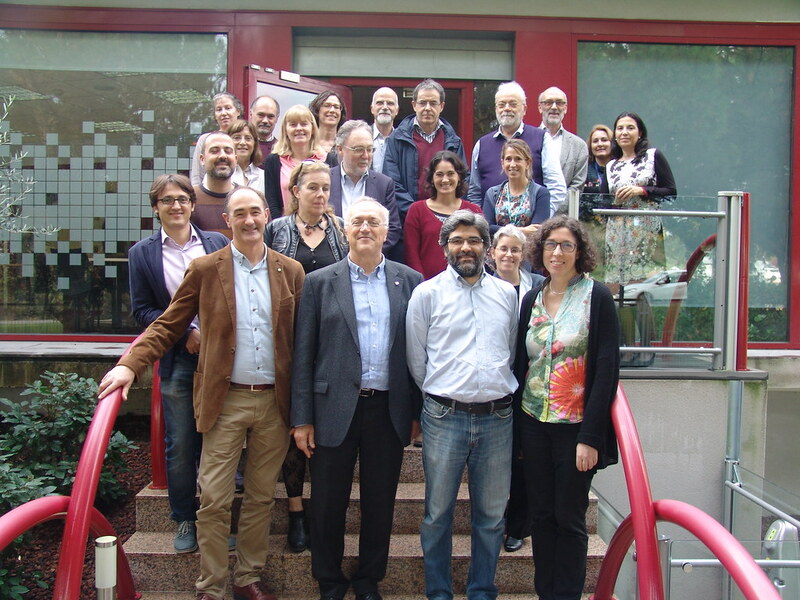 Last 21st – 22nd November, the members of ICMAB’s Scientific Advisory Board (SAB) made their first visit to the Institute to evaluate the different research lines and the overall performance of the Centre. Representatives from CSIC and MINECO were also invited to the meeting. The SAB is composed of 10 worldwide scientific authorities* in the areas of the targeted research (Functional materials in our three application areas: Clean Energy, Smart and Sustainable Electronics and Smart Nanomedicine) with managerial and science policy experience. On the first day, the formal constitution of the SAB took place, followed by an open session which included an overall presentation of the Institute by our Director Prof. Xavier Obradors and additional presentations of the five research lines by the RL coordinators. In the afternoon, a poster session was also organised for the SAB members, where they had the opportunity to interact with our researchers and visit our facilities. Each SAB member was accompanied by a young researcher from the Institute which acted as a guide through the different sites of the visit. Additional private meetings took place between SAB and SEB members along with CSIC and MINECO representatives. ICMAB’s Director presented on the second day the technical and scientific aspects of the Severo Ochoa FUNMAT project to the SAB members, who finally had the opportunity to meet privately to prepare a draft report on the visit. The SAB Chairman, Prof. Luis Liz-Marzán, closed the visit by highlighting some of the aspects discussed by the members. The SAB emphasized the friendly atmosphere of the Institute and the quality of the scientific research being carried out, in particular the enthusiasm showed by young researchers. In addition, they appreciated the excellent gender balance of the Institute, and encouraged ICMAB to keep working on this direction.